Home>Comparison>i13 vs i12 TWS AirPods: Is it worth the upgrade? The i13 TWS AirPods Clone is finally out in the market and today we’re going to compare it with the previous years Best AirPods Clone – the i12 TWS AirPods. In recent times we saw a lot of companies making its way into cloning the Apple AirPods, many of them have succeeded in replicating the design and only few of them were successful enough to give its users the same audio experience as the Original Apple AirPods. That’s why today we’re here to compare two of the Best AirPods clone. – the i13 TWS vs i12 TWS. The i12 TWS was one of the most well talked AirPod Clone that did deliver mind-blowing audio experience and were loved by a lot of music fans. Few months later here we’re with the all new i13 TWS. Anyways, does the i13 TWS airpods clone have what it takes to dethrone the i12 TWS and become the Best AirPods 2 clone? Let’s find out! Coming to the design of these AirPods clones, let me straightaway tell you that these products have the ultimate motive of offering the same aesthetics that we can expect on the Original Apple AirPods. Unlike the i12 TWS, the all new i13 TWS is a complete replica of the 2019 Apple AirPods 2. The very first thought that I had when had the oppurtunity to use the i13 TWS was that the company has made the i13 AirPods 2019 comparatively lighter to the i12 TWS. The product weighs as light as just 0.0350 kg. 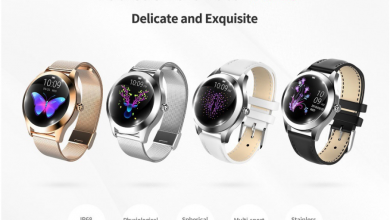 Which is a stunning good makeover considering that the case also supports wireless mechanism. On the other hand the i12 TWS weighs as heavy as 0.0950 kg. So in the design perspective there isn’t any major makeover but this weight reduction has definitely enhanced the overall user experience. Just like the i12 TWS, the i13 TWS doesn’t compromise on the build quality. The finish and the build quality is stunningly good. The device feel rigid and the glossy finish kind of gives a premium feel when holding them. I don’t want to complain that the company is ain’t deviating or making any changes into the already successful design. Although I Just felt that they can spread their wings to offer more color options. 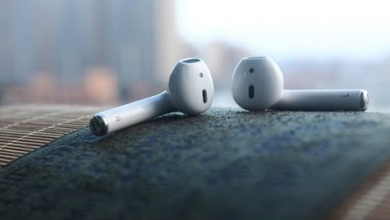 This will definitely increase their demand in the market and at the same time might make the users choose these clones over the original airpods. The major addon on the i13 AirPods Clone is the all new Wireless Charging Case. The case doesn’t have any major or noticable design change, It almost looks the sames as the regular non-wireless i12 TWS Charging Dock. The inner of the charging case uses sensitive magnetic design which tends to support wireless relay. Also gives you the convenience of placing the bud directly and properly into the holder. Also Read, i13 TWS Airpods Clone Review: A Cheaper Airpods 2 Alternative! The most important thing to know before buying the i13 TWS AirPod Clone or even the original Apple AirPods is that these headphones aren’t specifically made for audiophiles. They are more focused towards “productivity”. Although this doesn’t change the fact that how good the i13 TWS sounds. The i13 TWS doesn’t fit your ears perfectly it is due to the ergonomics that Apple has designed these pods. Unfortunately this means that the outside noise will easily find its way out and can be heard outside. To avoid this audio leakage you might have to turn the volume a bit down. This is an issue existing on both the i13 and i12 tws. If you can deal with the audio leakage, KABOOM! You’ve stunningly good earpods with great audio experience. The most important fact about this upgrade is that the i13 TWS Case casts a 350mAh powered battery. Which offers 4 hours of music playback in just single charge. Further the charging case can re-fuel the i13 Buds with another 3 to 4 times of charge. Which is like you will get 12 hours music playback and 120 hours of standby time. Also the charging time is much faster than the i12 tws. The i12 TWS takes straight 2 hours to fully charge. While the i13 TWS takes half the time comparatively to fully charge. Also Read, LK-TE8 TWS AirPods Rival! The i13 TWS & the i12 TWS almost share so there is no sacrifice on the user experience. The comfort legacy is passed down to the i13 TWS. They are super gentle on the ears and never caused any discomfort. In-Fact even after several hours of consistent usage. The i13 TWS felt super comfortable. Also the decrease in weight on the i13 TWS did enhance the comfortness. I would definitely prefer to wear a lighter rig while going for a jog or a run. As already your muscles are under intense pressure due to the workout you’re undergoing and in addition to that if a harshness is offered due to the rig is not something likeable. This is can be avoided by choosing the i13 TWS. Also Read, i10 vs i12 TWS: Which is the Best Airpod Clone? Conclusion: i13 vs i12 tws? The i13 TWS AirPods Clone and several other airpod clones have been out there in the market for a while now. Their availability for anyone and their affordability is what makes these clones a likeable choice to many users. Remember that these are definitely not audiophile grade earphones. Even the original Apple AirPod is ain’t for audiophiles. These are majorly built for productivity. If you’re looking to listen to some decent level of music and few podcasts then the i13 TWS is a great choice considering the wireless capability, the 350mAh battery and the audio enhancement it offers. Also adding a cherry on-top, you’re getting few more hours of music playback when compared to the i12 TWS. Fortunately the price range is also not much different. If you’re a user who travels a lot, puts productivity over audio quality and want to experience the ergonomics of the Apple AirPods in your budget? Then the i13 TWS is the best choice you can get right now. Buy i13 TWS Wireless Bluetooth 5.0 Earphone for just $21.99 [FLASH SALE]! Buy i12 TWS Bluetooth Stereo Earbuds for just $27.99 [Sale]!